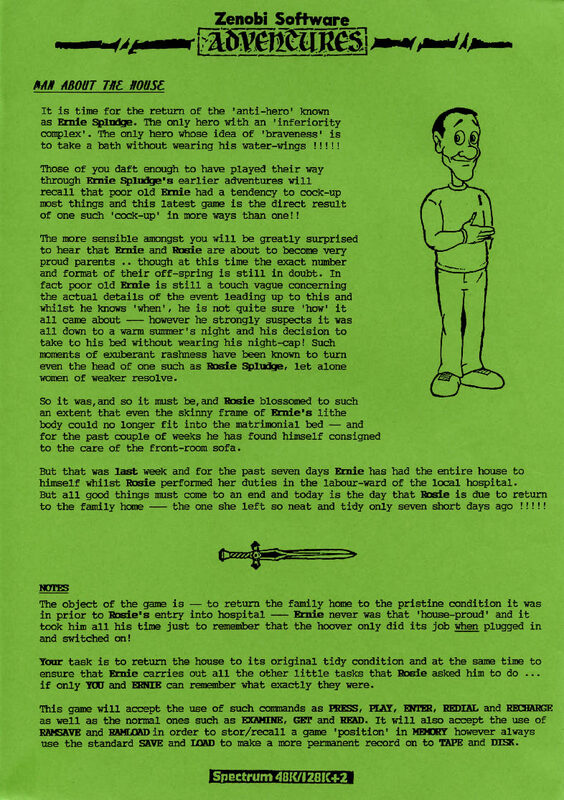 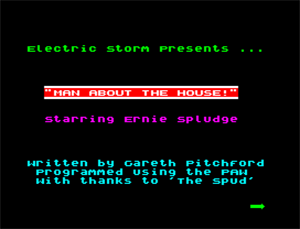 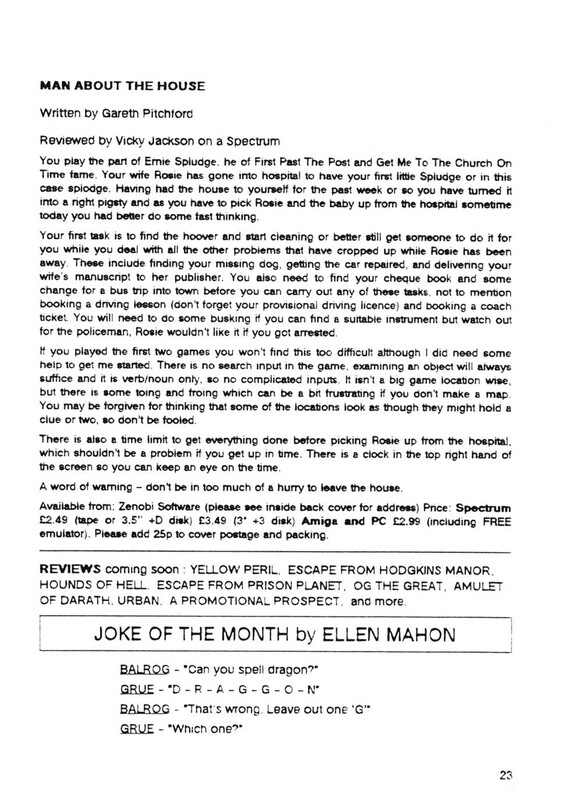 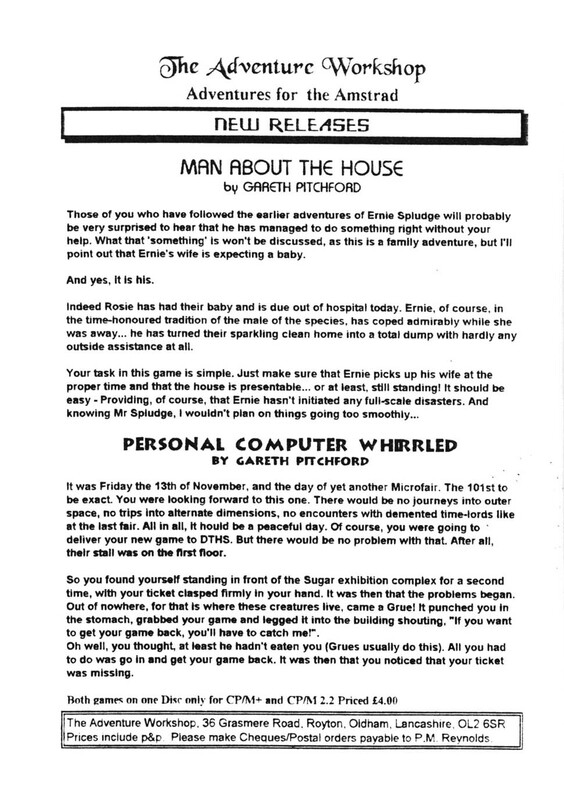 Man About the House was the third text adventure featuring Ernie Spludge and was originally released for the Spectrum 48K by Zenobi Software. 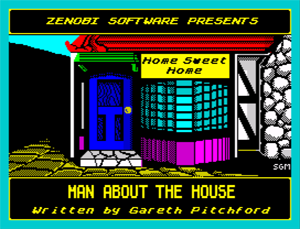 A PAWed Amstrad CPC/PCW CP/M version of this title was produced and sold by Philip Reynolds of The Adventure Workshop with Personal Computer Whirled! 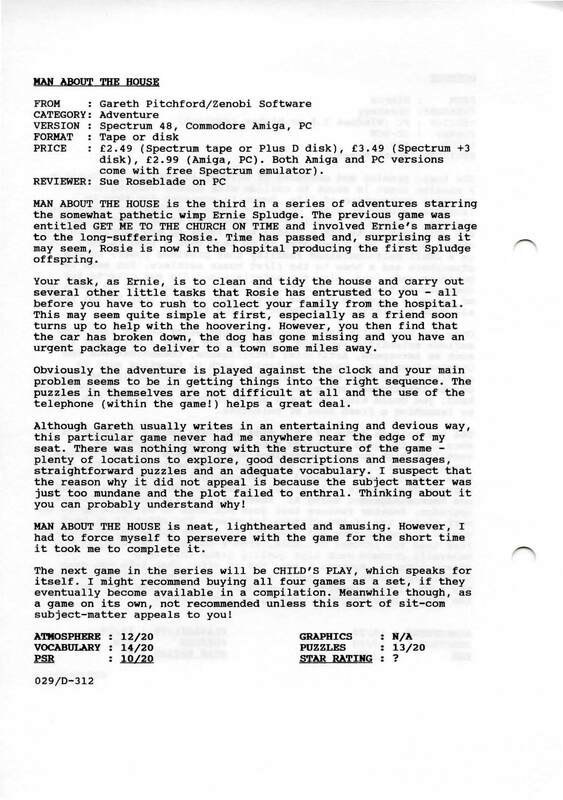 also on the disk.